Looking for some only-in-Marin romance inspiration? Welcome to the Marin Hotels blog! We’re here to help with lots of ideas to set the stage for a memorable romantic experience. You bring the love, we’ll provide the only-in-Marin romance itineraries. Combine good food and good vibes for a romantic night with lots of energy and fun. Pizza is on the menu at Piazza D’Angelo in Mill Valley. In Mill Valley, we suggest dinner at Piazza D’Angelo where Northern California freshness meets Southern Italian cuisine in a trattoria atmosphere. After dinner, go for a booty shake at local favorite of international renown Sweetwater Music Hall. If you’re staying at Mill Valley Inn, romance bonus: you can stroll hand-in-hand to both locations. We also love Terrapin Crossroads in San Rafael, where you can dine and dance in one location. Terrapin offers live music in one of their three intimate venues every night of the week. In fact on February 14, the theme for the evening’s bar music is Love Songs. And the food? You can’t go wrong ordering anything on the menu, always served by really lovely and fun staff. In nice weather, outdoors is the place to be, with canal-side seating and fireside sing-alongs. Tune in to each other and tune out everything else during your hike-n-spa date. Magical Marin Headlands. Photo by Will Truettner on Unsplash. In the Marin Headlands you have your pick of trails at all levels. We like Hill 88 for the stunning views and Point Bonita Lighhouse for the dramatic position on the edge of the continent. 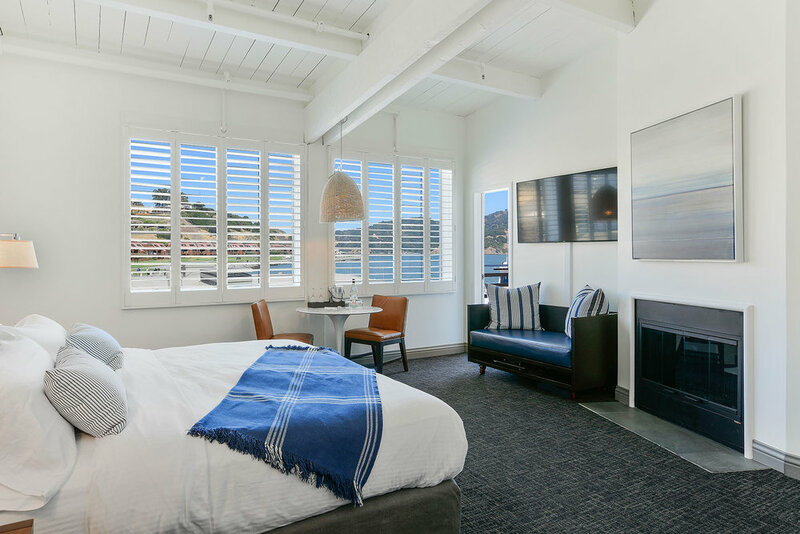 Follow either of those awe-inspiring locations with a treatment at the luxurious Cavallo Point Spa and you have nailed romance. 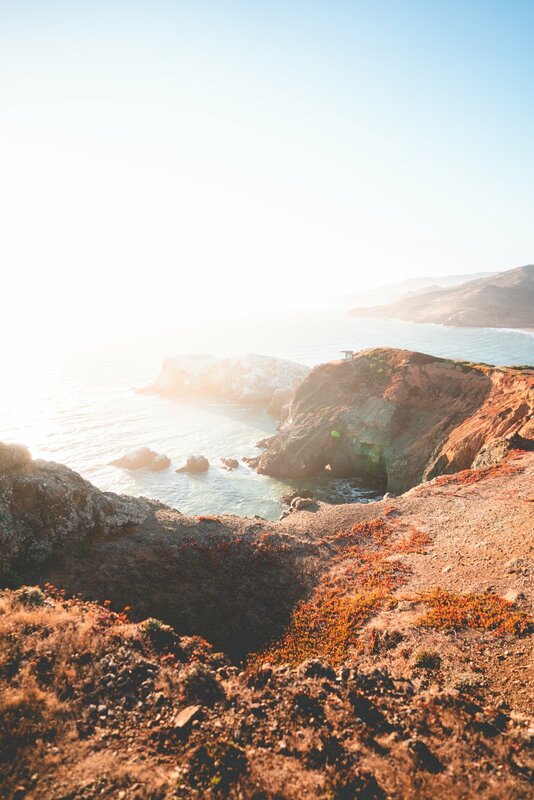 An easy hike, the Tennessee Valley Trail leads to a secluded beach nature-made for a little make-out session. After your hike, head over to Marin Country Mart where you’ve made appointments at International Orange for a couples massage. Go over the top with a wine and cheese moment at Fisher’s Cheese and Wine, where you can opt for cozy seating and personal service at the bar. Hike the trail in Baltimore Canyon — a county park with a trailhead* tucked into a neighborhood in Larkspur — to Dawn Falls, because waterfalls are nature’s romantic touch. Your waterfall experience is best paired with a treatment at the small, low-key, and lush Evo Spa, located in the Strawberry village shopping area. *Pro Tip: the parking at the trailhead is limited. Go early or find a spot in the neighborhood and walk to the trailhead. Worth it! You will see homes of all types built around the Redwoods — literally. An only-in-Marin experience!and International Orange. Get all of your senses turned on with a morning hike followed by oysters. There’s an atmosphere of wildness on Tomales Point Trail, with the Pacific Ocean on one side and Tomales Bay on the other, and the possibility of a herd of Tule Elk heard in the foreground. You’ll smell and feel the ocean all around you; there’s an aura of freedom on this finger of land. Optimism and romance are in the air! After your hike, enjoy lunch at the intimate Saltwater Oyster Depot where you’ll keep the ocean sensation going over a plate of oysters. A hike at Abbott’s Lagoon and lunch Hog Island Oyster Company requires some advance planning because Hog Island Oyster Co. is super popular. For a good reason! At Abbott’s Lagoon, you can follow the flat path to the ocean, where you’ll stand on dramatic Great Beach and feel like you’re the only two people in the world. For oysters at Hog Island, we suggest making a reservation in the Boat Oyster Bar where you’ll spend 90 minutes sampling your way through the menu together. Time your hike: from Abbott’s Lagoon parking lot to Hog Island Oyster Co. it’s about a (beautiful) 40 minute drive around Tomales Bay. Bear Valley is a classic Marin County hike, perfect for strolling hand-in-hand: fragrant woods, lush fern canyons, and ocean views. Follow that with another Marin classic — oysters at Tony’s. Like Hog Island Oyster Co., Tony’s is on the other side of Tomales Bay, about a 20 minute drive. Tony’s has undergone a renovation, and is set to re-open this month. We’re expecting bayside seating, and a cozy, casual environment. p.s. Go exxxtrraa and plan a spa treatment after your lunch. A few more ideas, you romantic, you! 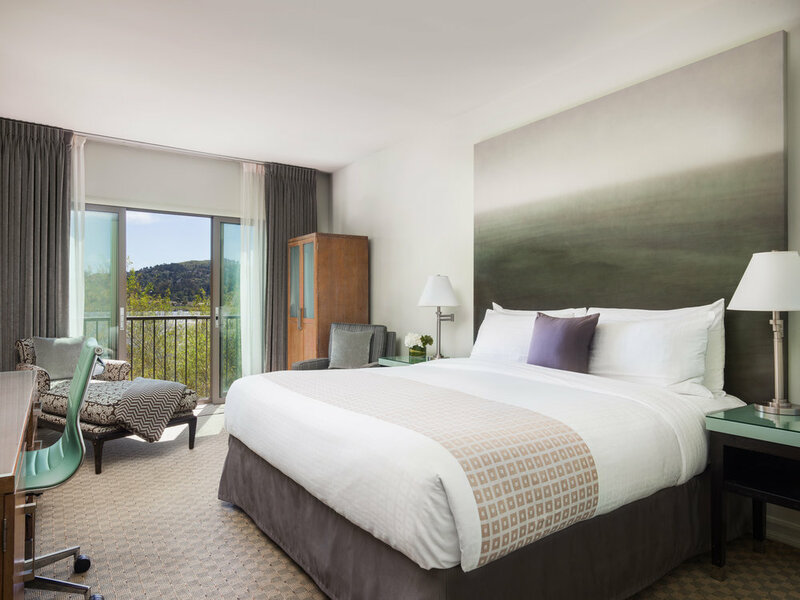 Waters Edge Hotel in Tiburon: the Grand View Deck is a romance central. Looking for ideas for the classic dinner and a movie in Marin? You’ll find 5 itineraries in that post. 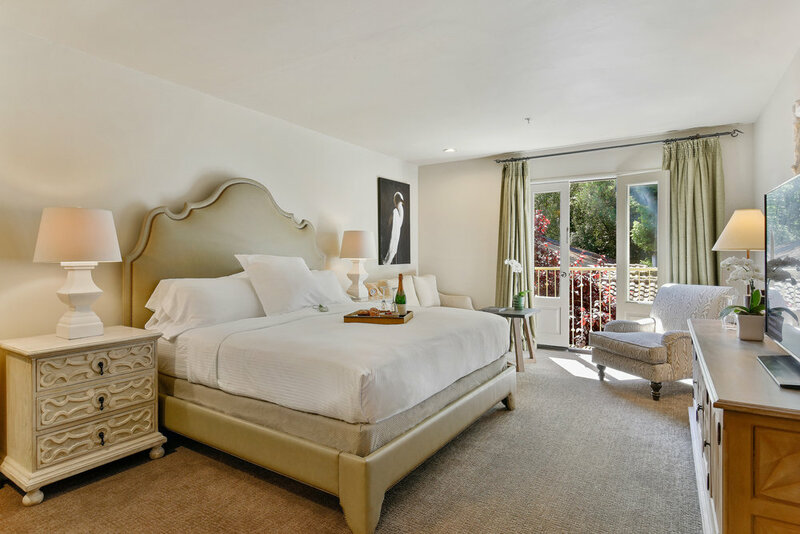 A romantic getaway in Mill Valley? There’s a 2-night, 3-day itinerary in that post. And Tiburon, the perfect romance destination? Another 2-night, 3-day itinerary.